During the last decade, companies experienced a significant shift from on-premise systems to cloud-based infrastructures, undergoing a change in the way services are delivered over the Internet. But what exactly is cloud computing, and what are the existing cloud deployment models on the market? Let’s take a look. Cloud computing refers to the delivery of on-demand computing services over the Internet, such as storage, hosting, databases, analytics, apps, and servers, among others. It allows companies to rent access to a variety of services from a cloud service provider, and pay for everything on the go – without having to spend their resources on expensive IT infrastructures and maintenance. Cloud service providers, on the other hand, typically charge companies based on the usage of the service and the storage of its corresponding data, decreasing the expenses that are usually associated with on-premise systems. As a cloud service provider, we do that to give our clients the possibility to focus on their core business instead of spending unnecessary resources on complex infrastructures. Now that you’ve began to understand the basic premise of cloud computing, you will discover that there are different cloud deployment models: private, public, and hybrid. Each model has its peculiarities, and while some are more popular than others, the one you choose will depend on the specific needs of your business. A cloud is called public when services are rendered by third-party providers over a network open for public use, meaning that you share the same hardware, software, and network devices with other clients of the same provider (other companies, for example). Another important differentiator between a public cloud and a private one is the responsibility over the cloud’s hosting and management. In a public cloud, because you are only “renting” a space on the cloud from a third-party provider, he will be the one assuming the costs and the maintenance of the whole infrastructure. As a client who is paying for this service, you have no responsibilities over the management of the cloud – you only use it to store your data, and pay as you go. Out of all cloud deployment models, public clouds are the most appealing in terms of investment, as there is no need to invest in expensive IT resources (as opposed to other clouds). Despite the concerns regarding the security of a public cloud infrastructure, data is usually protected with a variety of layers, and security breaches are actually quite rare. 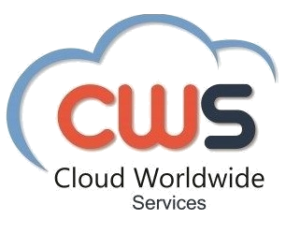 Some of the companies that provide public cloud services include Amazon Web Services (AWS), Oracle, Microsoft, and Google. A private cloud refers to a cloud deployment model operated exclusively for a single organization, whether it is physically located at the company’s on-site data center, or is managed and hosted by a third-party provider. In a private cloud, resources are not shared with other organizations, but this also means that the company using it is entirely responsible for its management, maintenance, and regular updates – which can also get significantly more expensive than public ones. Because this cloud deployment model is only accessible by a single company, there are less security concerns as all data is protected behind a firewall. Some third-party providers of private clouds include Microsoft, Apache, and OpenStack. Hybrid Clouds, as their name suggests, are a combination of private and public cloud deployment models that are bound together to provide the benefits of both infrastructures to the company using them. By using a hybrid cloud, organizations are capable of moving data and applications between private and public clouds depending on their purposes. For example, in case of high-volume, less sensible data that doesn’t require strong security layers, public clouds are the better option as they provide more capacity to their users. However, if the company wants to store and manage sensitive data related to critical business operations, it is usually recommended to use a private cloud as it provides more security. This model also offers the so-called “cloud-bursting” option – simply put, if an application or a resource on the private cloud reaches a spike in demand, the company can move it to the public cloud to reap the benefits of additional computing resources and higher capacity. Some hybrid cloud providers include Microsoft, Amazon Web Services, VMware, Google and RackSpace.